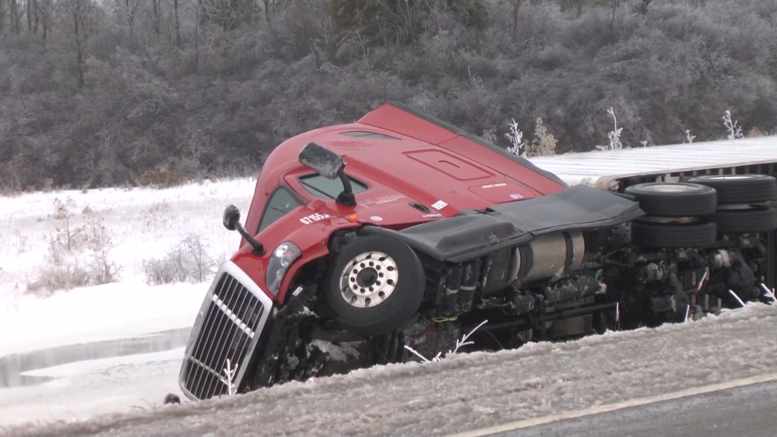 Today’s freezing rain caused some very hazardous road conditions, making driving a challenge. A semi-truck caused delays on U.S. 23 this afternoon around 4:30 when it overturned, landing on it’s side in Squaw Bay. According to emergency responders, the driver was able to get out of the truck and was taken by ambulance to Mid-Michigan Medical Center, suffering minor injuries.